PS2 games is really cool to play. So, I have a confession to make. I never had a Game cube growing up. Instead, my angsty pre-teen years were spent fittingly with the edgy black PlayStation 2 but it was a lot bulkier back then. Ever since I saw the trailer for this new console and thought they’re making a second one?! ?” I was hooked. I remember playing Airblade at the local Best Buy and realizing I NEEDED one of these things. I mean this is the future! Little did I know that the PS2 Games would give me some of my fondest gaming experiences as an adolescent. *PS2 startup noise* ahh, now this brings back some memories. So, to kick off the new year, let’s countdown some of my favorite PS2 games, and no doubt nostalgia is going to play a big role in this. A lot of these games haven’t aged too well, and playing them again for footage. Now this was an interesting one because I only vaguely remember playing it from back in the day. 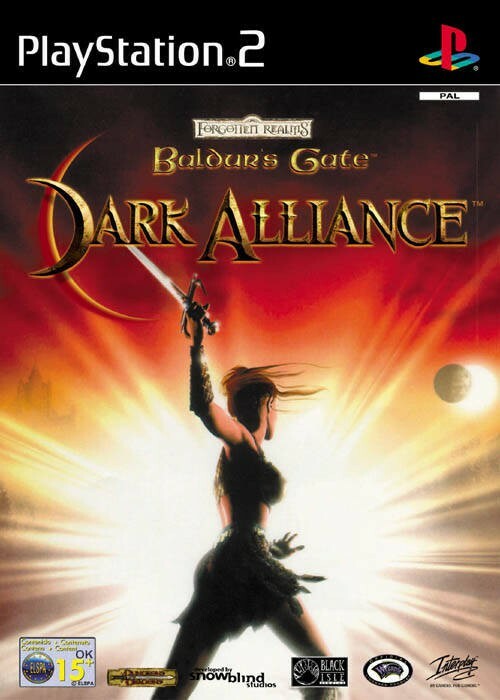 I had never seen any other Baldur’s Gate games, I just liked it for the dungeon crawling beat them up action! It reminds me a lot of Diablo, with different starting classes, a quaint little tavern with friendly villagers, and increasingly scarier and harder boss fights. So I wasn’t able to get to the end to show you this because my game kept freezing, but when you beat the game you get the Onyx sword which is by far the strongest weapon, and when you start a new game you can reload your character into it, almost like a pseudo new-game+, so you can destroy anything standing in your way with ease. I must’ve replayed Dark Alliance 5 or 6 times because it was so fun to plow through enemies. Yeah that was definitely the reason. 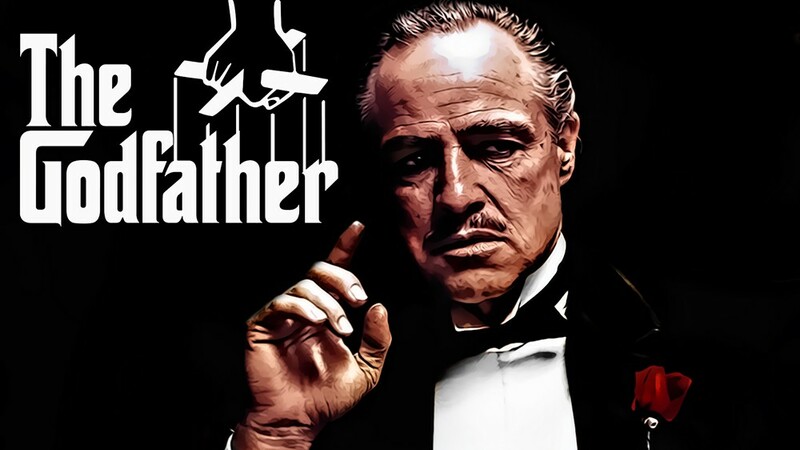 I loved playing The Godfather because it was the closest I could get to playing Grand Theft Auto without my parents grounding me. I mean really, the main elements are all there, stealing cars, shooting people and outrunning the cops, but it’s all set in the universe of the first Godfather film. Now, I had not seen the movie before I played this game hilariously enough, but now that I have, I can say that it’s a very faithful adaptation. You get to relive many of the iconic scenes,but through the eyes of a new recruit to the family, which gave them liberties to make some stuff up, but also allowed the player to experience some awesome moments, like being the hitman killing all the rival family members during the baptism scene. I spent so many hours overtaking rackets, garotte wiring thugs, and even attacking the other family compounds to give them an offer they can’t refuse. Prince of Persia: Sands of Time was a trailblazer. It was doing wicked park our platforming long before Assassin’s Creed, fluid combat before Arkham Asylum, and most important – clever time mechanics before. Everything about this game was super satisfying to pull off, whether it was swinging from pole to pole or dancing around sand people to take them down, and if you mess up, you can use your fancy dagger to rewind time and try again. I feel like Prince of Persia was the blue print that inspired future classics like the Uncharted series. I mean, this game made me try to run up walls myself, but it didn’t really work out. And while it has it’s issues with pacing, my favorite aspect is that the Prince is telling the story to the player, so when he dies he back pedals and changes what he was going to say, which leads to some hilarious results. “No, no, that’s not what happened. 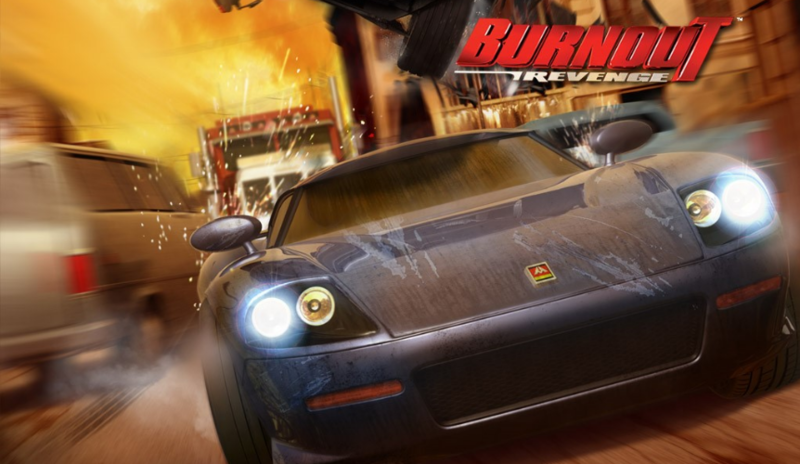 Burnout Revenge is not like most racing ps2 games. Instead of trying to drive as fast as you can, the entire goal of this game is to cause as much destruction as possible – and I loved every minute of it. And Road Rage where you try and eliminate as many rivals as you can while racing at top speeds. Jeez, It’s a good thing I wasn’t driving yet when I first played this. But I loved that the focus was on mayhem – it ain’t no Fast and the Furious. As a side note, it had a great sound track too. This is how I found out about great bands like Billy Talent and Bullet for my Valentine. Shadow of the Colossus is the only game on this list that I didn’t play as a kid. But I picked it up recently, and it’s just that good to end up at #6. In fact, this is another one that I feel was a head of its time – the PS2 could barely keep up and had lots of frame rate issues. SotC is the perfect example of depth through simplicity. There’s only 16 bosses and no other enemies to fight, but each colossi is a huge obstacle to overcome that often feels like a puzzle in itself to figure out how to take them down. 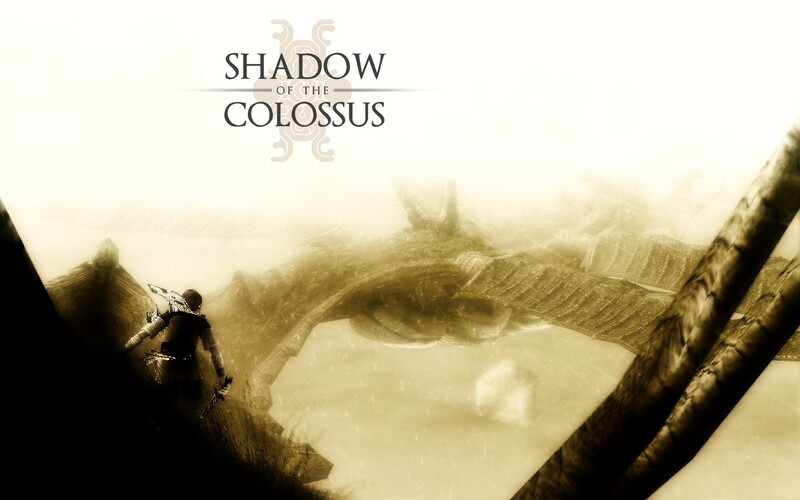 The story appears pretty basic, save the girl by fighting these giant monsters, but things start to get fishy as you progress – “these don’t look like friendly black ribbons of darkness!” There’s a lot of riding through big empty fields, but this just emphasizes the size of the colossi when you finally reach them. They are slow, powerful and cumbersome to climb, but this made it so satisfying when you defeated them. I want to see more games take risks like Shadow of the Colossus did over 11 years ago. Most people hopped on the plastic instrument bandwagon at Guitar Hero 3, but I like to call myself a bit of a veteran. 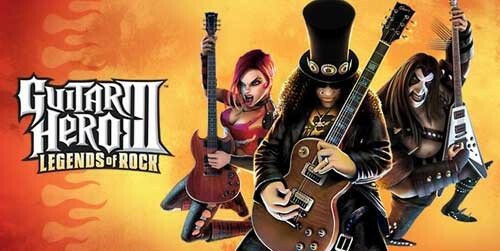 I started back in the original, and perfected my skill in Guitar Hero 2. I remember my friends coming over just to watch me play Free bird on Expert over and over again until I finally beat it – it was one of the most accomplishing times in my young life. As a musician, the concept seemed pretty stupid to me, but when I actually played it, I was a natural (who would’ve thought?)! And while the fad has sort of gone through a roller coaster of popularity lately, playing it again reminded me that it did a lot right. There are 64 total songs, all of which can be unlocked by PLAYING THE GAME instead of buying more through DLC packs, and it even had cheat codes to unlock everything, but you couldn’t save your game file, I thought that was pretty clever. Overall, it was a blast to become a rock star at a sold out show while playing Trodgor the Burninator. 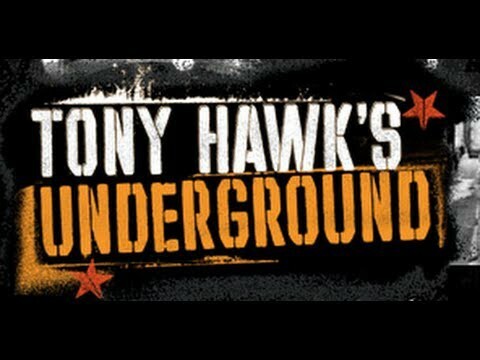 Ooooh man Tony Hawk Underground! Now this one takes me back. Unlike other games in the series, Underground lets you create your own character and watch them grow from suburban street punk into a professional skater, and will take you from Hawaii to Moscow in the process. One of my favorite moments in this game is doing a Mctwist over a helicopter and how it slows way down to show how awesome it is. Not to mention the amazing soundtrack! I can’t tell you how many times I’ve heard (Like the Angel You are…or… I WANNA PIERCE MY BRAIN), but I still love it. Underground is chocked full with all kinds of secrets too, like playing as Iron Man, or the Kiss level where you can watch them perform on stage. I even created my own custom skate park, complete with characters from Wayne’s World and Anchorman saying hilarious quotes. Jak and Daxter came free with my PS2 games which was a good call, I think it was a great system seller. Now Jak 2 and 3 are fine, but they got a little too GTA for my liking, with the guns and cars, I preferred when it was a simple collect a thonplatformer with quirky characters! 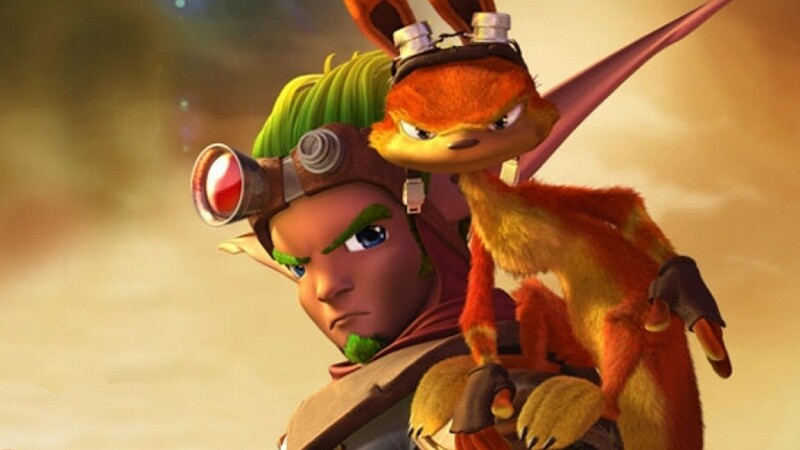 In fact, the personality is probably what sold me on Jak and Daxter, how could you not love this cuddly yet dangerous duo? I’m not gonna lie tho, Daxter looks better as an ottsel than a human. But there isn’t much else to say about it other than it is a truly solid platformer. For some reason it reminds me of Gex: Enter the Gecko, but without the annoying catchphrases every second. It combines good controls with unique worlds,and whether you’re on the beach or in an ancient laboratory, it never stops being a blast to roll around collecting eco and those sweet sweet power cells. 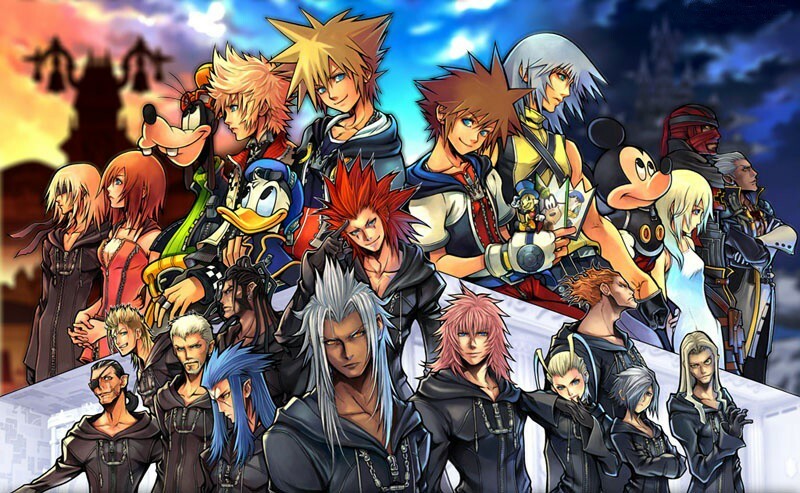 The concept of Disney characters duking it out in a Final Fantasy world seems like the weirdest combination that no one asked for, but somehow Kingdom Hearts pulled it off! I didn’t realize that battling mystical creatures with Tarzan and Goofy was what I was missing in my life! I almost picked Kingdom Hearts 2 over the first one because it has better battle mechanics and even cooler Disney worlds to explore, but the story got really convoluted, even more than the first game somehow, and it had THIS. “Swim this way, we’ll DANCE AND WE’LL PLAY” Besides, I have a soft spot for the first game because of all the secret bosses you can fight at the end. Heck I don’t think I ever was able to beat Sephiroth! And maybe I just liked it because of all the imagery of good and evil, the light overcoming the darkness inside of us. But who knows, it was a novel idea that was perfect for me at the time. And Kairi is definitely bae, so. Oh wait a minute she’s like twelve. 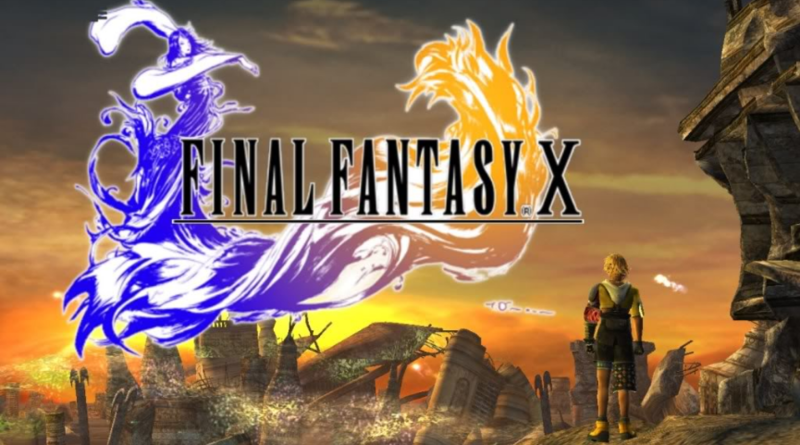 Final Fantasy X is my number one game of the PS2, but I have waaaay too much to say about it to fit on this list. What I will say is that I noticed the majority of entries on this list I felt a connection with was because of the main character finding themselves or discovering their identity, and that’s exactly what being a teenager is all about. I said from the beginning that my nostalgia played a big role in this, but there’s no way it couldn’t because the games we play growing up imprint memories onto us that we’ll never forget, and the games I played on the PS2 perfectly represented what I was drawn to in my early teens. I’m curious what your favorite PS2 games were, and why? Do you have any great stories or memories with them? Please, tell me in the comments below I’d love to hear about it!